The advent of advanced diagnostics may lead many technicians to believe they’re buying luxuries for their workshop. However, capable diagnostic equipment is a must to carry out even the most basic of tasks. Diagnostic expert, Hella Gutmann Solutions (HGS) warns that as workshops are being rapidly overtaken by advancing vehicle technology, they are failing to understand the vital importance of diagnostics, and how the tools can be used to improve business efficiency. “It has always required skill to diagnose vehicle problems,” says Neil Hilton, HGS Product Manager at HELLA, “and adding diagnostics to your armoury doesn’t change that; what it does give you is a means to produce a quick and accurate assessment of the likely cause of the problem, then it’s down to the technician to utilise the data and repair. Another impact of advancing vehicle technology is related to the vehicle’s battery. This is without doubt the beating heart of the modern motor vehicle, but as new technology places ever higher demands, its vital role in vehicle diagnostics is often overlooked. A new aftermarket distribution agreement between HELLA and leading manufacturer of smart battery charging systems, CTEK, offers garages access to a professional range of battery testers and chargers as part of the Hella Gutmann Solutions range. This partnership underlines the vital role battery performance plays in vehicle performance. 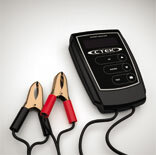 HELLA likens the CTEK charger to a life support machine for the vehicle while the diagnostics process is underway. “The CTEK MXS25, for example, provides a stable voltage and up to 25A of fully regulated power to prevent loss of charge and damage to the battery. It’s ideal for a wide range of vehicles with average power consumption. Other units can provide up to 70A of battery support suitable for high specification vehicles with greater demands,” concludes Neil. Always perform a global check. This will show how many other systems are affected by the fault. Don’t limit yourself to an individual system. CAN-Bus technology, present on virtually all modern vehicles, dictates that a single fault code can quite easily be scattered across multiple systems causing numerous symptoms on a variety of systems. Fault codes are the ECU’s best guess at what the fault could be. Confirm this diagnosis by checking live parameters and reach your own conclusion – don’t become a fault code jockey! DPF faults are a common problem so don’t be tempted to start the interrogation by performing a regeneration as this is the end result of a problem further back in the system. Other components such as oil quality, general maintenance, EGR valves, heater plugs and turbos are all critical to a smooth running system and need to be checked first. The previous components are usually the cause of a failed regeneration attempt, so it makes good sense to check these first. A good partner to electronic diagnostic equipment is a smoke tester. This should be used as the second check to identify potential physical leaks causing electronic faults, therefore aiding correct diagnosis. After diagnosis and a part is replaced, the vast majority of systems require an adaption or basic setting; without this the ECU is not aware the part has been replaced and will continue to run with the previous settings of a failed or failing component. Don’t forget the battery. Use the right equipment to maintain its performance. Slave batteries and boost packs can be unreliable and may struggle to cope with sudden increases in current demand. Standard battery chargers are not recommended either as they can increase battery voltage beyond normal operating levels, affecting diagnostic procedures and possibly damaging sensitive equipment. Keep it clean – use a charger that will deliver a smooth, surge free electrical current to protect sensitive ECUs. Don’t leave it standing. Drain from loads such as tracking devices and alarms means that a battery can potentially become flat in a matter of days. If you know that a vehicle is going to be standing for more than a day or so consider giving the battery a condition charge to ensure that it is charged to maximum capacity. 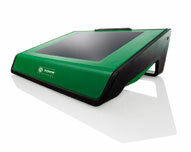 Finally, when choosing a diagnostic device, investigate the support, development and training available. This is critical in an industry that is morphing from mechanical to electronic. HGS has in place over 45 Master Technicians and nearly 200 research and development engineers. This allows the mega macs range of equipment to deal with the new challenges that workshops face both now and in the future.